Veterans spoke about their experiences. 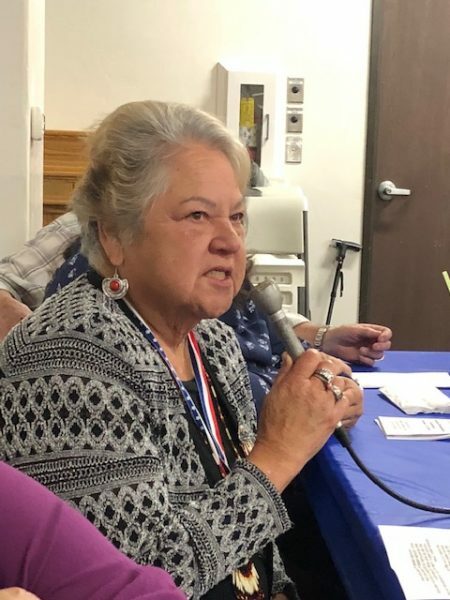 This woman served in the Women’s Army Corps at Fort Rucker, Alabama. That’s where she met her husband, who was also assigned to Fort Rucker. 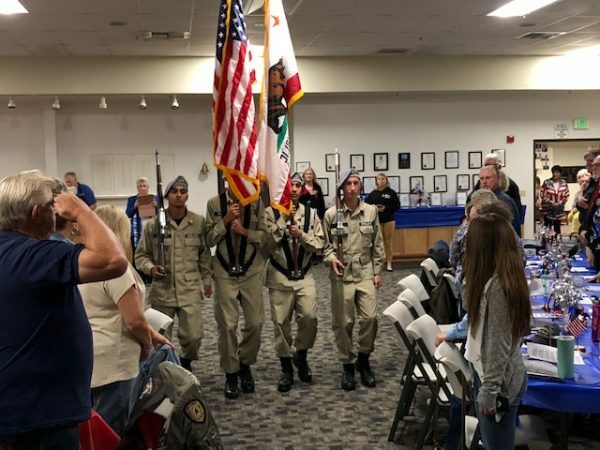 –More than 100 North County Veterans and their family members turned out for a dinner Saturday night at the Atascadero Elks Lodge. Veterans and active duty military personnel received a free turkey dinner. Dr. Rex Thornhill served in a MASH unit. He’s now a Podiatrist in Paso Robles. 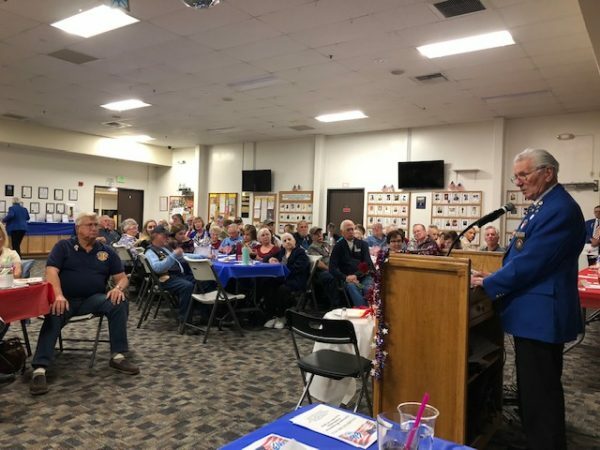 92-year-old Bob Brown spoke about his experiences during World War II. He was one of only two World War II Veterans who attended the Elks Lodge event. 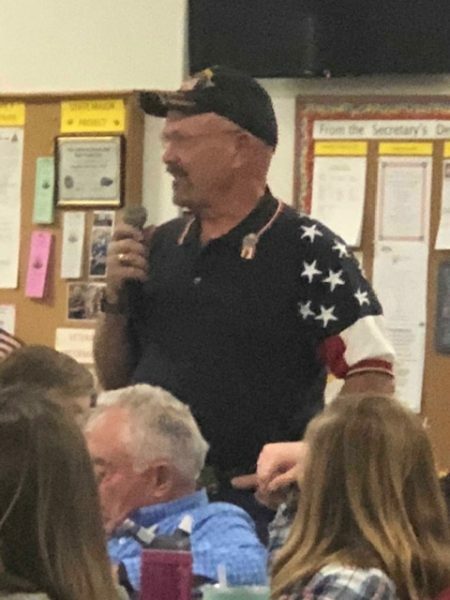 After dinner, the veterans were given the opportunity to share their military experiences. Their stories covered all branches of the service with duty in Vietnam, Korea, Germany, the Middle East and numerous stateside military posts. The colors were presented by four young men from the Grizzly Academy.